@belsarmadio is on Carousell - Follow to stay updated! Absolute party shoes - worn twice to collect marketing awards at a fabulous event at Crown. Size 37 - shoes come with original box (note lid has a hole) and or the shoe bag which has never used! 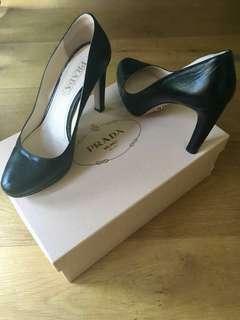 Beautiful Prada - worn once to a wedding, shoes come with the original box! Worn only a few times, 2 inch pump heels - I am now wearing kitten heels and sneakers!